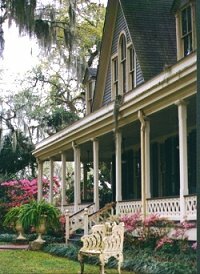 Begun in the 1790's by members of the same family that still occupies it today, Butler Greenwood Plantation exemplifies the early cultural influences of this unique corner of Louisiana. The earliest settlers in the Feliciana parishes, like the family at Butler Greenwood, were Anglo-Saxons and came down from the East Coast soon after the American Revolution. From the wilderness they carved great plantations on grants of land offered by the Spanish crown, for this area was not part of the 1803 Louisiana Purchase from France, instead remaining with Spanish West Florida until 1810. The area continues to exhibit strong evidence of English traditions and culture. One of only a few places to still see Spanish influence is the Old Kitchen at Butler Greenwood, with its arches and stepped facade of handmade brick; built in 1796, it was used as the main kitchen for the plantation into the 1960's, food being cooked first on an open hearth and later on a wood stove. A typical early raised, rambling English cottage-style home, Butler Greenwood is listed on the National Register of Historic Places. The house is a private home in the original family and is no longer open for tours. 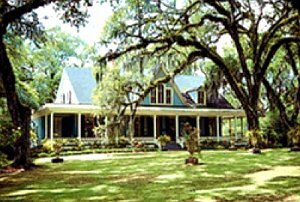 Surrounding the home are some fifty acres of landscaped grounds shaded by hundreds of ancient live oaks draped with Spanish moss and planted from acorns in the 1790s. The boxwood parterres of the antebellum formal gardens and the sunken gardens along the entrance drive are filled with ancient camellias and azaleas of staggering size, as well as sweet olive, magnolia fuscata and other 19th-century plantings. Like all early gardens, this one was so thoughtfully planned that there is nearly always something blooming, nearly always a nice fragrance in the air. Cast-iron urns and benches date from the 1850s, as does the charming Victorian summer house, which has recently been restored. 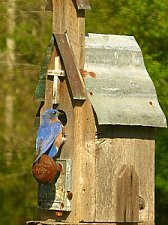 Surrounded by hundreds of acres of unspoiled woodlands, Butler Greenwood has a huge population of birds and wildlife, including herons on the pond, white-tailed deer, fox, bobcats, and chipmunks.